Say hello to the blonde brownie. 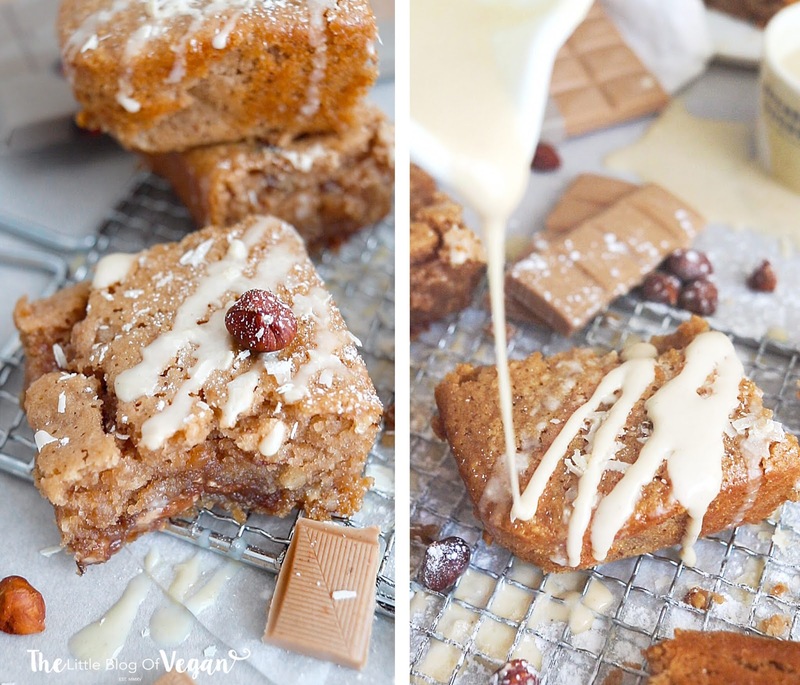 These vegan blondies are light/white brownies and are packed with just as much of chocolate and tastiness as an original brownie! 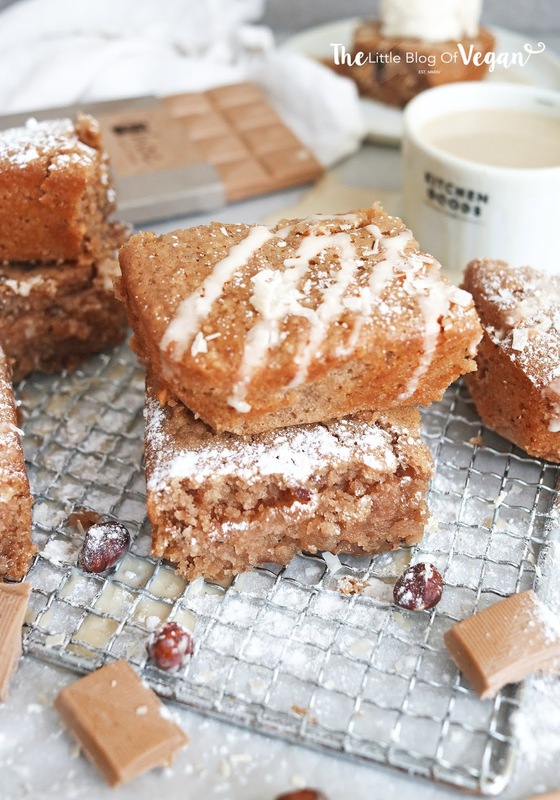 Check out my 'Insta video' here on how to make these blondies. I used the absolutely scrumptious 'iChoc White Nougat Crisp' chocolate. It has a 'Kinder Egg' flavour and takes me back to my childhood, as that used to be my all-time favourite chocolate! They're ultra creamy and great to bake with! 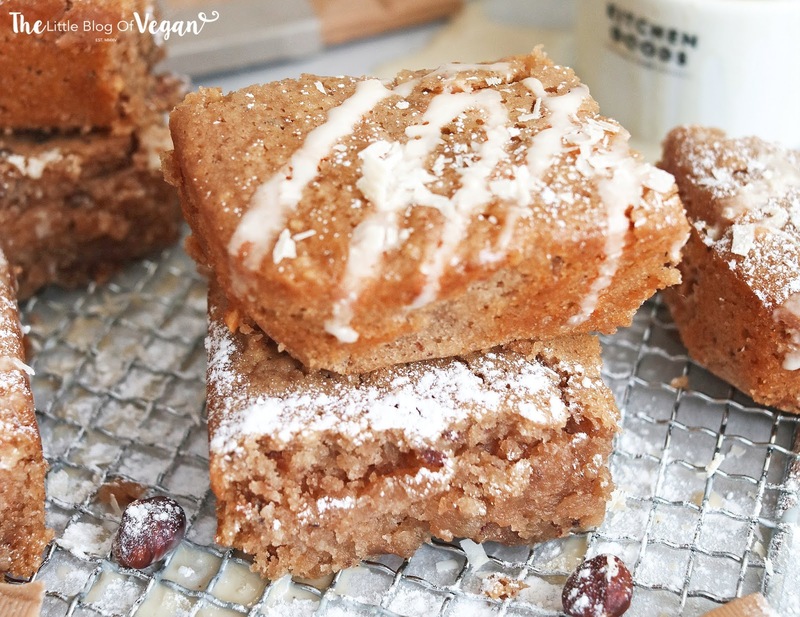 These blondies are vegan and delicious! They're also very quick & easy to make, if you love brownies and white chocolate....you'll fall for these blondies! YUM! Step 1- Pre-heat your oven to 180 degrees c and line a baking tin with greaseproof paper. This prevents the blondies from sticking to the pan. Step 2- Place the white chocolate into a glass bowl and place on top of a saucepan with water filled 2/4 of the way up making a ban marie. Gently simmer until the chocolate has completely melted. Step 3- Sieve the flour into a large mixing bowl & stir in the sugar and salt. Mix until fully combined, then add 1 teaspoon of vanilla essence & mix in. Step 4- Pour into the mixing bowl, the melted gooey chocolate, oil & dairy-free milk. Mix until fully combined. Step 5- When the mix is fully combined & smells delicious, add in the 20g of white chocolate chunks and crushed hazelnuts. Step 6- Pour the mixture into the lined tin, making sure you get into the edges. Step 7- Pop the tin into the middle of the oven and bake for 20-25 minutes. The brownies should be firm & crumbly on the outside, & moist in the middle. To make sure the brownies are cooked, place a sharp knife or skewer into the centre until it comes out clean. If they are not fully cooked, pop them back in the oven for an extra few minutes. Serve these blondies fresh or store in a sealed container in or out of the fridge. I served my blondies with a drizzle of dairy-free white chocolate, chocolate shavings and some hazelnuts. Shop the whole iChoc range here. This is a paid collaboration with iChoc. A huge thank you to iChoc for collabing on this recipe with me!